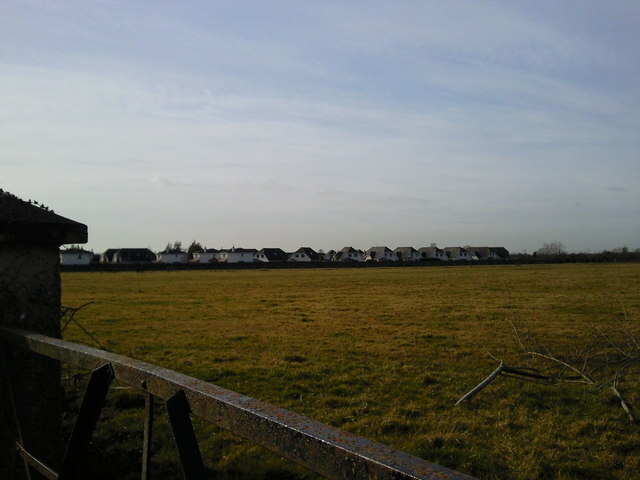 A view of Hollystown housing estate across a field. These houses mark the northern boundary of the Dublin City environs. Northwards is purely agricultural land from the foreground field until the satellite towns of Ashbourne and Ratoath, Co Meath 8km away.